Based in Michigan, Frank Torre is an entrepreneur with a history of successfully building and growing companies. Frank Torre currently serves as CEO of Signal Restoration Services, a national company that specializes in property loss restoration based in Troy, Michigan and founded in 1972. In 1992, Frank Torre also established Torre & Bruglio, Inc. Frank has since grown Torre & Bruglio into one of the state’s largest landscaping and horticultural contractors, with business both regionally and nationally. In 2000, Frank Torre established a golf course management company that provides maintenance to golf courses ranging from 18 holes to 36 holes PGA Tournament courses. Outside of his career, Frank Torre remains very active in the community. Frank Torre currently serves as Chairman of the Board of Directors for the Rehabilitation Institute of Michigan, part of the Detroit Medical Center. Frank Torre also supports Boys Hope and Girls Hope of Detroit with various philanthropic endeavors and activities. 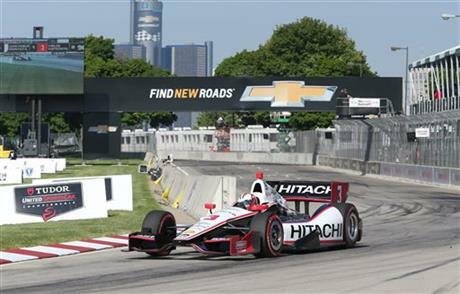 Additionally, Frank Torre maintains a major role in the annual Detroit Grand Prix races, a staple of Detroit Culture.